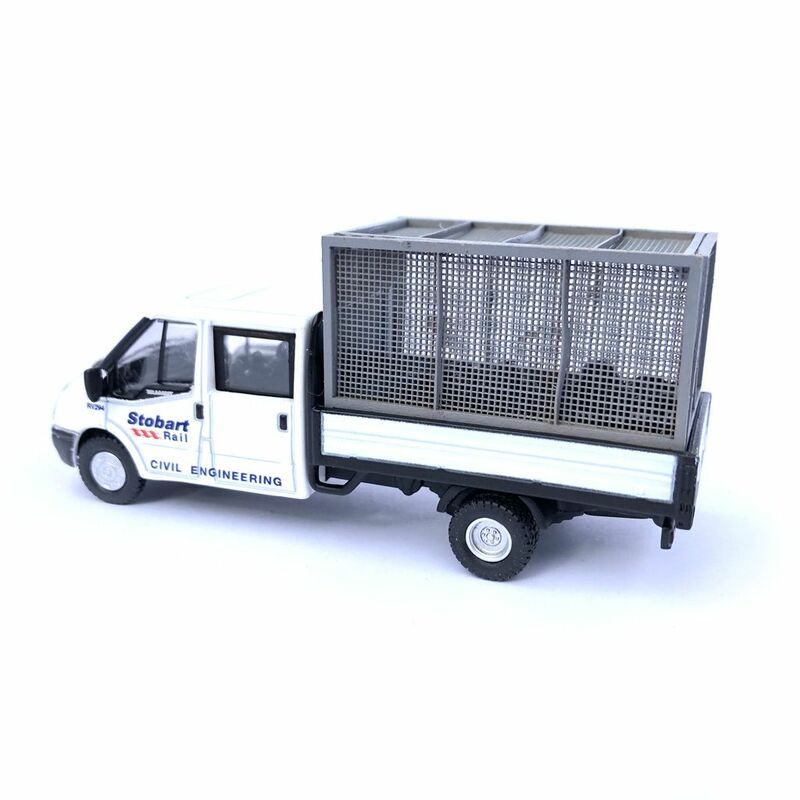 An easy to assemble laser cut & engraved Rear Mesh Cage Kit designed for upgrading the Oxford Diecast Ford Transit Crew Cab Pickup. Laser engraved 0.2mm thick mesh gives an incredibly fine appearance, similar to the finish that can be achieved with etched brass, with thicker 0.8mm laser cut outer cage makes this kit an incredibly realistic upgrade for your pickups. 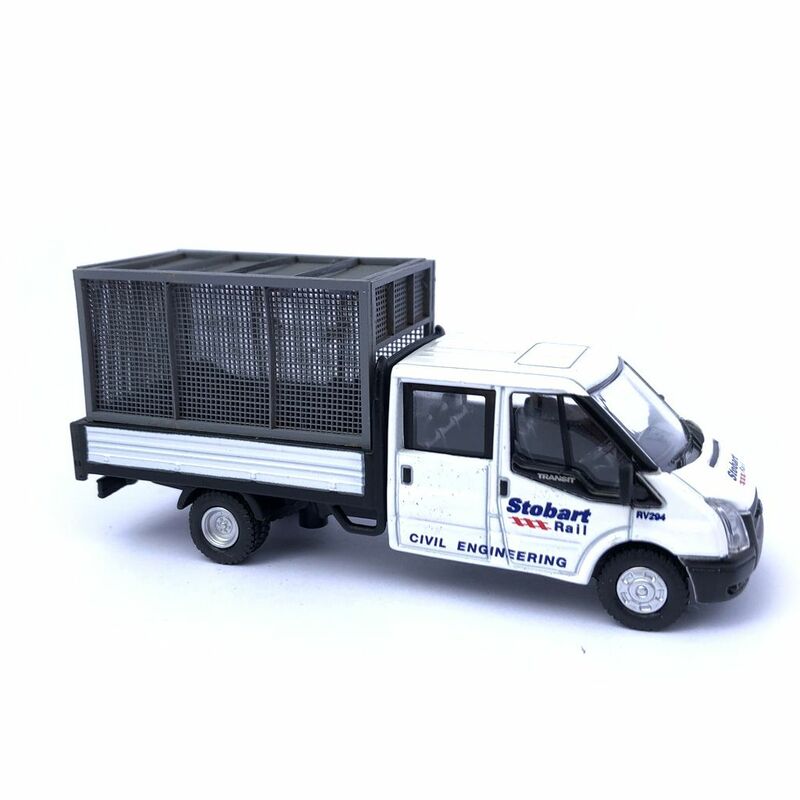 These cages are typical of those used by most councils now for emptying bins in parks and public areas. 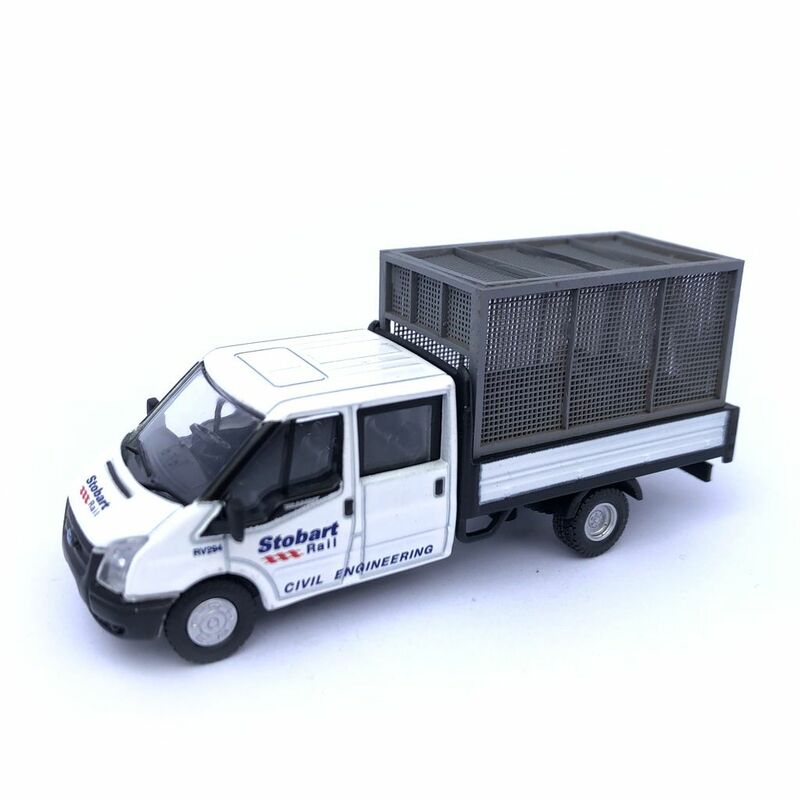 The kit takes just a few minutes to assemble and can be built up with or without the mesh roof depending on your requirements. 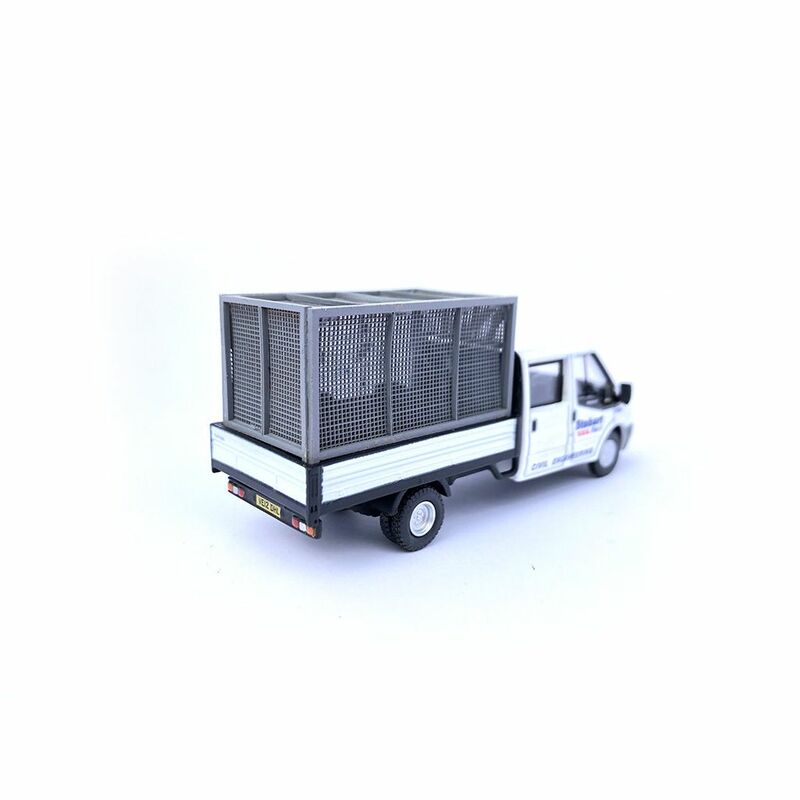 Supplied unpainted and includes step by step instructions. 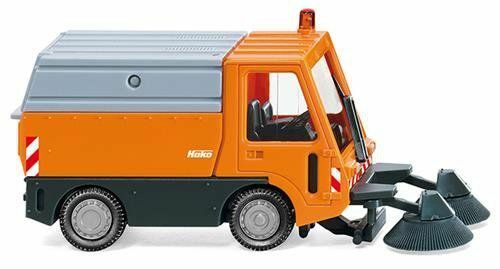 Pick up model not included. 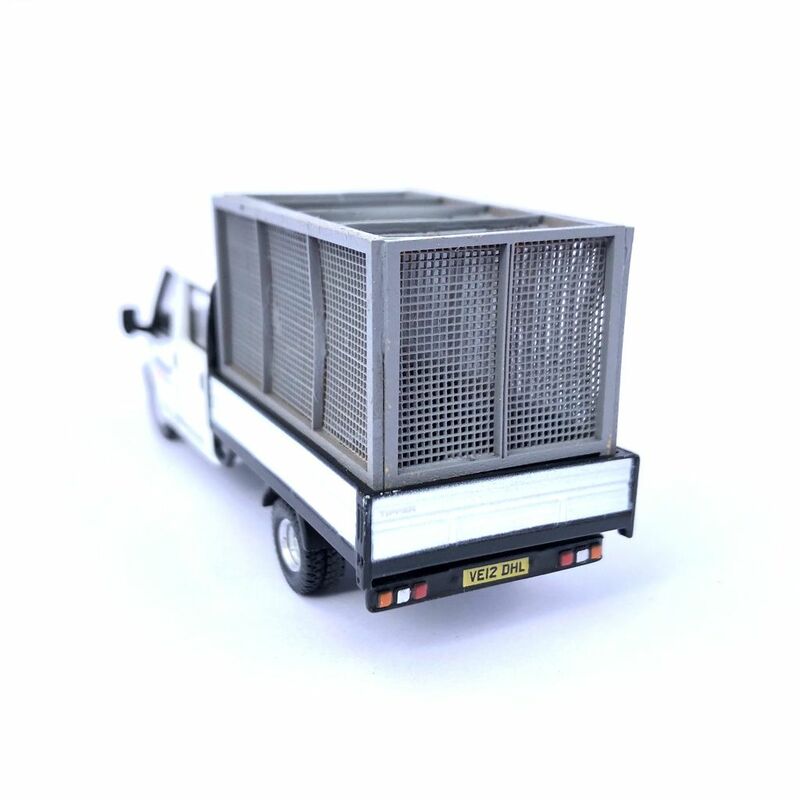 Ideal for detailing a park or street scene along with the Preiser Refuse Collection figures.